The Minister of State for Textiles, Shri Ajay Tamta distributed study kids to the students on the occasion of the 3rd the National Handloom Day celebration, organised by the Ministry of Textiles, in Guwahati on August 07, 2017. The Secretary, Ministry of Textiles, Shri Anant Kumar Singh is also seen. New Delhi: Union Minister of State, Textiles, Shri Ajay Tamta said that the Government of India is taking various initiatives for the welfare of handloom weavers. Presiding over the main event of the 3rd National Handloom Day celebrations in Guwahati, the Minister said that he not only appreciates but also salutes the handloom weavers for their commitment, dedication and skill. 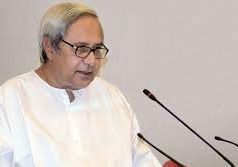 He said that handloom weavers should be able to earn due value for their produce, and that Government is working in this direction. While enlisting various initiatives taken for welfare of weavers, the Minister spoke of Hathkargha Samvardhan Sahayata Scheme under which Government of India assists the weaver by bearing 90% of the cost of new looms. Shri Tamta also spoke of MUDRA scheme, under which loans ranging from Rs. 50,000/- to Rs. 10 lakh can be availed by the weavers, with no requirement for any security whatsoever. 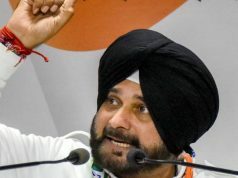 The Minister also informed the weavers that the Ministry of Textiles has entered into MoUs with Indira Gandhi National Open University (IGNOU) and National Institute of Open Schooling (NIOS) whereby children of weavers shall be able to avail school and university education, with 75% of fees being borne by the Government of India. Shri Tamta assured the Chief Minister of Assam that the Centre will do all that is required to support the state in advancing the welfare of weavers of Assam. Addressing the audience, Chief Guest and Chief Minister of Assam, Shri Sarbananda Sonowal thanked the Prime Minister Shri Narendra Modi, for choosing Guwahati as the venue for the main event of 3rd National Handloom Day. He noted that more than 50% of total weaver population of India resides in North Eastern Region, most of whom are women. He said that the prime objective of holding National Handloom Day in Guwahati is to empower women and girls. Shri Sonowal also spoke about the huge potential of Handloom sector in North East. The Textiles Secretary, Shri Anant Kumar Singh said that our weavers work very hard, putting their heart and soul into their creations. He said that we have to find out means through which the income of weavers can be increased and they are given deserving share of the immense worth of their produce. An MoU was signed on the occasion, between Ministry of Textiles and Common Service Centres, under which weavers will be able to avail a wide array of Government services under one roof – from Weavers’ Service Centres (WSCs). The WSCs will henceforth serve as a one-stop centre for weavers, providing various services, including banking, passport, insurance, PAN card, voter ID and AADHAAR. Weavers will also be able to pay their electricity bills and undertake online courses at WSCs. There are 28 WSCs under the Office of Development Commissioner (Handlooms), Ministry of Textiles, functioning in various parts of the country. Weavers visit these WSCs frequently, in order to avail technical assistance in relation to their profession. Announcing this, the Union Textiles Minister, Smt. Smriti Zubin Irani said yesterday that weavers will be able to derive the benefit of these services from WSCs, beginning this year itself. Another MoU was signed on the occasion, between Ministry of Textiles and designers. Under the MoU, reputed textile designers will work closely with handloom weavers, passing on design assistance and knowledge. This is thereby expected to improve the market potential of the handloom products and improve the earnings of weavers. 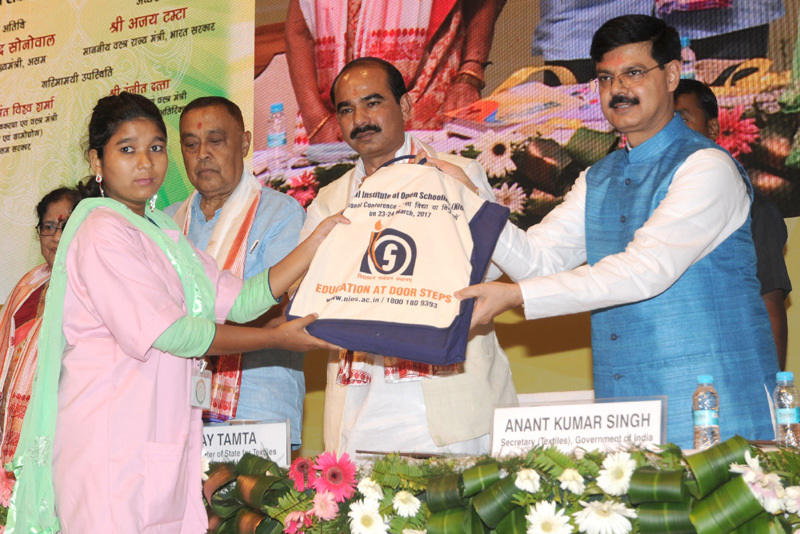 The Minister also distributed some educational material to handloom weavers. Study material developed in collaboration with National Institute of Open Schooling (NIOS) was also distributed to children of handloom weavers. The National Handloom Day was celebrated across the country. The Union Textiles Minister addressed a gathering at Ahmedabad. Various programmes were held in universities, schools and other institutions as well.